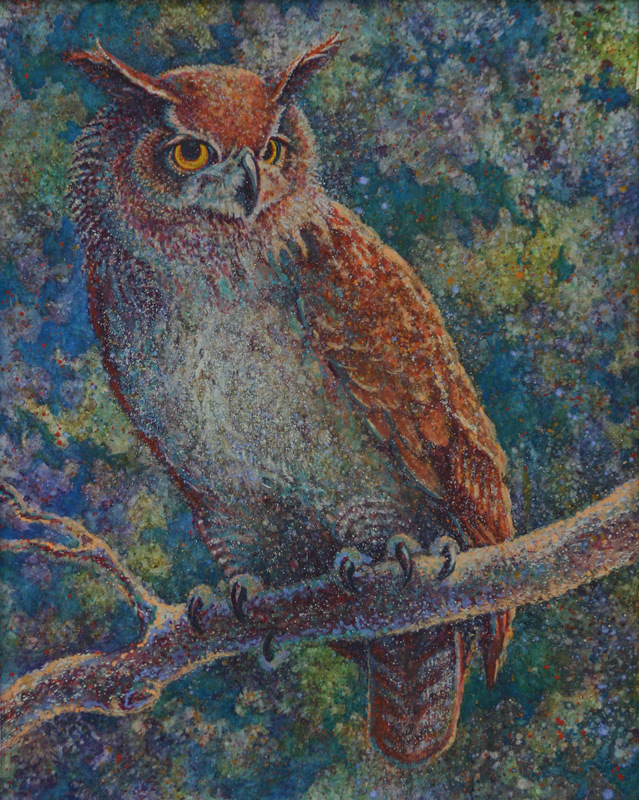 This watercolor painting of a VA native Great Horned Owl was a commissioned piece. I hear these owls most evenings and every once in a while glimpse this huge raptor flying across our wooded drive. Magnificent creatures!